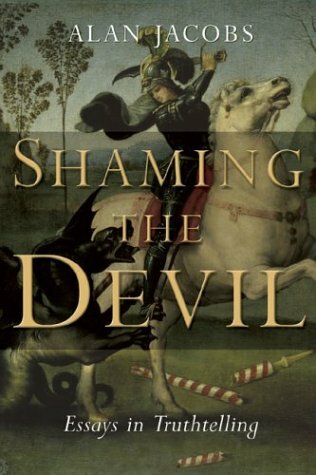 At a time when truth has become a causality of efficiency and personal gain – Alan Jacobs offers an insightful cultural critique in Shaming the Devil: Essays in Truthtelling. He draws on a number of literary figures as a way into the key themes in the matter of truth telling. W. H. Auden, A. Camus and Iris Murdoch are among those whose ideas he discusses. One chapter that is particularly compelling is The Judgement of Grace. Here he cites Pass Over a poem by Linda Gregerson exploring the links between judgement and grace. The tredmill of production and consumption is a journey that leads nowhere. He draws on the film Magnolia as instructive in this regard. And to artists of faith he says; “The Christian arts community, … should never think of art in terms of production and consumption, but rather in terms of exchange, of the giving and receiving of gifts. The artist gives from what is already given …”. There is an extended essay at the end of the book on the impact of computer technology in our lives and on our understandings of truth. This is an engaging collection of literary essays that will stimulate the mind and move the heart. Jacobs puts his particular artistry of creative writing to work by taking on a number of the prevailing ideas of contemporary culture and offering a trenchant critique clearly indebted to the biblical story. ← Reluctant Partners: Art and Religion in Dialogue.